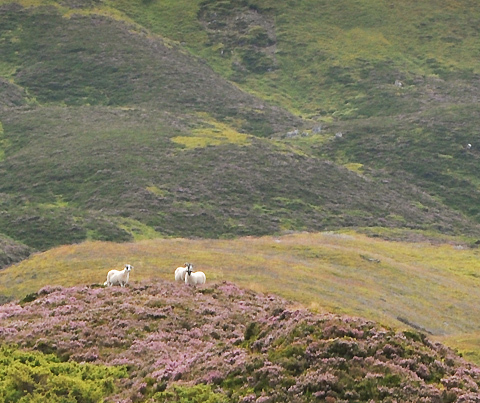 The Aberdeen and Grampian Highlands offer wonderful scenery and a variety of exciting walks and trails from cross country footpaths and long distance routes through moorland and woodland, to cliff tops and sandy beaches. 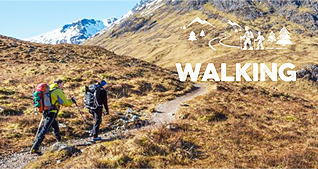 More experienced walkers will find there are plenty of Corbetts (peaks with a height of more than 2500 feet) and Munros (peaks with a height of more than 3000 feet) to tackle, each offering a different type of challenge. Less adventurous ramblers who enjoy moderate walks can undertake one of the many marked paths and trails. Take a hike - go on, we know you want to! Walking in Scotland means mighty mountains to conquer and plenty of forest paths, coastal walks, and city routes to wander. So if it's a walking holiday you want, or simply an afternoon's amble, you're definitely in the right place. What are you waiting for? It's time to explore one of Scotland's best assets - the great outdoors.